Dave Ramsey’s book EntreLeadership is one of the more thorough books on leadership I’ve read. He covers a lot of ground! I appreciate that he does—it’s an interesting look into what has made his company grow and become successful. I am heavily biased toward learning from people who are practitioners—people who have been in the trenches, leading and making things happen. That’s where Ramsey writes from, as opposed to a theoretical perspective. Grit to Great highlights the fact that talent is not the key ingredient in success. There is something much more important—grit. Grit refers to things like determination, perseverance, passion, and plain old hard work. In short, it’s about character, not talent. I found this both challenging and encouraging—encouraging in that it opens the door to success to anyone who is willing to pay the price. And it’s consistent with the general biblical emphasis on character over gifting. It’s not hard to find gifted people; finding people of character is much tougher. 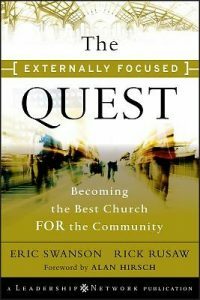 The Externally Focused Quest highlights a fundamental shift of perspective that is crucial for a church’s health, but I think it is rarely embraced. What does it mean to be a church for our community, rather than just a church in our community? This book has been part of an interesting trend I’ve taken note of over the last couple of years—there has been an increasing emphasis on the idea that the church should take seriously the idea of pastoring the community it’s in. That includes caring for the people and meeting the needs of the community, even if they aren’t part of the church. Here’s a great tool for working with people who do things that don’t seem to make sense, or are different than what you expected. If you speak regularly, as most pastors do, Secrets of Dynamic Communication is a book worth paying attention to. I’ve read scores of books on preaching, teaching, and communicating, and most have been helpful. But few do what Ken Davis does—break down the preparation process into clear, understandable pieces. Many communicators I know were taught what to do to present well, but not many were taught how to do it. Here we have a specific process that everyone can use to improve the quality of their speaking. I don’t have a detail to pull out from this book to focus on. For me, the value is having a specific process to work through when preparing a talk. 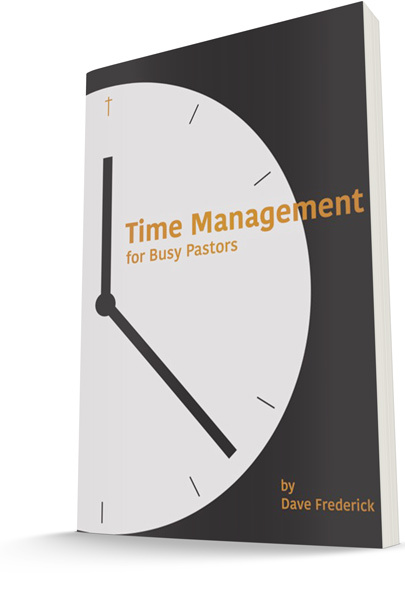 I think I have developed my own process over time just because I’ve prepared so many talks over thirty years of ministry, but it isn’t a systematic one. The next time I prepare a sermon I’m going to keep the SCORRE outline next to me and compare it to how I normally work. I know there will be similarities, but I suspect there will be some things I overlook or do minimally that will help me put together a better talk if I embrace them. I’m curious—have you developed a systematic approach to your preparation? Care to share? Most of us tend to find what we’re looking for. When you’re dealing with people, here’s a key thing to look for that will make all the difference. Going to “the next level” has become a catchphrase in our society. I think I first began noticing it on the show Shark Tank where everyone who presented wanted to take their company to the next level. I hear it in every area of life: finances, health and fitness, and so on. And I hear it from leaders often; most, if not all of us, want to take our leadership to the next level. We want to get better; we want to become more effective; we want to see better outcomes. 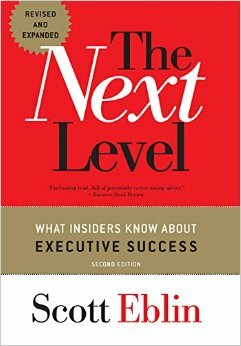 In The Next Level: What Insiders Know About Executive Success, Scott Eblin does a great job of outlining some of the key adjustments leaders need to make if they are going to take their leadership up a notch and to the next level. There were two things in particular that stood out to me. The first was one of the chapter headings: Pick Up Defining What to Do—Let Go of Telling How to Do It. That is such an important distinction! The people on your team will often do things differently from how you will. Their way may be better or worse, but it will probably be different. It’s challenging, to say the least, to let people do things their own way, but it’s one key to being more effective. Why do we resist that? Sometimes it’s just a control issue; we want to make sure things are done the way we think they should be. Other times we believe our way is the best way, and we think we are helping our people to do their job better by telling them what to do. There are several problems with that. First, it takes a lot of the leader’s time, as the process will have to be monitored, not just assigned. It also stops one’s people from developing. They become dependent on the leader instead of developing their abilities. Finally, it can hinder the development of the whole team because it’s quite possible they may develop a better way of doing things than the leader has thought of. It also builds the team’s morale and confidence when they do things on their own. You still need to clarify the goal; you need to let the team know what the desired outcome is. But everyone will benefit if you let them figure out the how on their own. The second thing is actually connected to that; it’s captured by this sentence: The essence of the challenge of moving up to the next level is learning to build the capacity of those around you. That’s the real challenge. Moving to the next level is often connected to the quality of one’s team. We’d like to think it’s all based on ability, but that’s not usually true. As we develop the people around us, by training and delegating responsibilities, we will produce better outcomes, and that is what allows us to move to the next level. Knowing that should change the focus of a leader’s time and energy. It requires keeping the big picture in mind. Eventually, developing your people will result in better quality work done more efficiently, but it will take some discipline in the short term. Developing your people is often in the “important but not urgent” category, so it can easily be forgotten or just not done. The wise leader will make it a priority, even when that’s difficult; the payoff is worth it. Communication can be tricky! Here’s one way to make sure you are on the same page with the person you’re talking to.